High School students wishing to participate in the 2018 Disney Dreamers Academy with Steve Harvey and Essence have until October 31 to apply for the innovative, outside-the-classroom, mentoring program that takes place in March at Walt Disney World Resort in Florida. Those accepted into the program will experience a once-in-a-lifetime career-inspiring weekend. 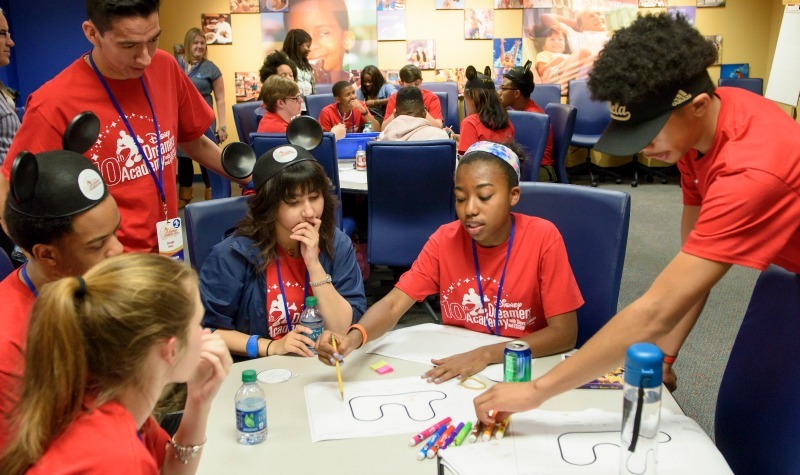 Disney Dreamers Academy has been inspiring young minds nationwide for over a decade by encouraging them to follow their dreams and showing them a world of possibilities. Students fortunate enough to be accepted into the program get to participate in hands-on, immersive career workshops, ranging from animation to zoology. Each participant will learn important skills such as communication techniques, leadership qualities, and networking strategies, and are inspired by celebrity speakers and special guests who join in to share their stories and provide insight on how to achieve success and DREAM BIG. The Disney Dreamers Academy has generated many stories of achievement by inspiring students to become authors, nurses, pilots, doctors, journalists, and engineers following the three-day all-expenses-paid experience at Walt Disney World Resort where the theme parks become vibrant ‘classrooms’ leading to career discoveries and fun memories to cherish for a lifetime. As part of the application process, applicants are required to answer essay questions about their personal journeys and dreams for the future. Students are selected based on a combination of attributes including strong character, positive attitude, and determination to achieve their dreams. Selected applicants, along with a parent or guardian, will receive an all-expense-paid trip to Walt Disney World Resort in Florida.